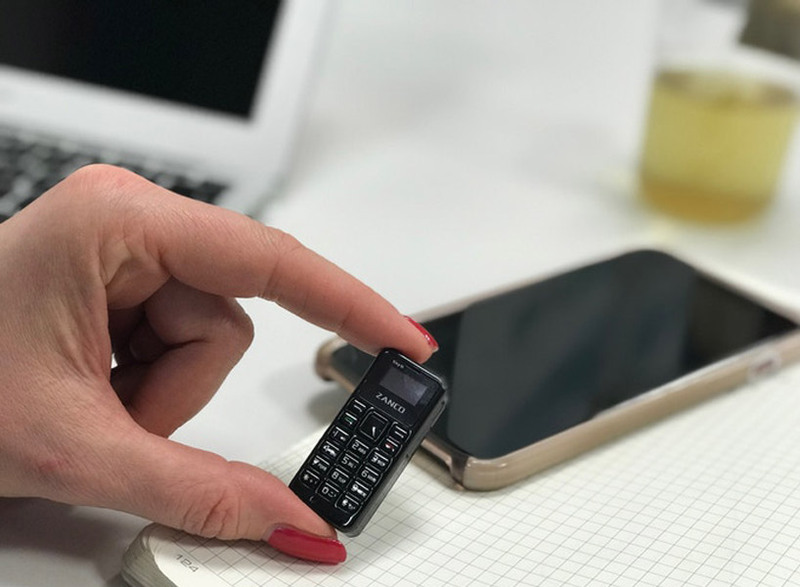 Small cell phones are nothing new, but the “Zanco Tiny T1” takes the crown for world’s smallest, or so the company claims. Measuring in at just 21mm x 46.7mm and weighing 13g, this coin-sized device is compatible with nano SIM cards and features only the necessities, which include a speaker, microphone, keypad, 12.5mm OLED display as well as a mirco USB charging port. Continue reading for another video and more information. “With smartphones becoming all the more thinner yet larger in height and width aspects, the world’s smallest fully functioning phone, the Zanco ‘tiny t1’, has been revealed. Although seeming very cute, the mobile serves a purpose as an ideal backup, emergency phone or companion when traveling light,” according to Design Boom.